Last year, I put together some Gourmet Hot Dogs for a bit of a change from our standard ketchup, mustard and relish toppings. Since we’re featuring Camping Party ideas this week, I’ve gathered a delicious collection of hot dog recipes that you’ll want to try this summer. The ideas below are from other talented bloggers and masters in the kitchen. To view the full recipe for each, simply click on the title of the recipes and they’ll open up in a new window for you. Anytime I see the word “chipotle” on a menu item or recipe, it grabs my attention right away. 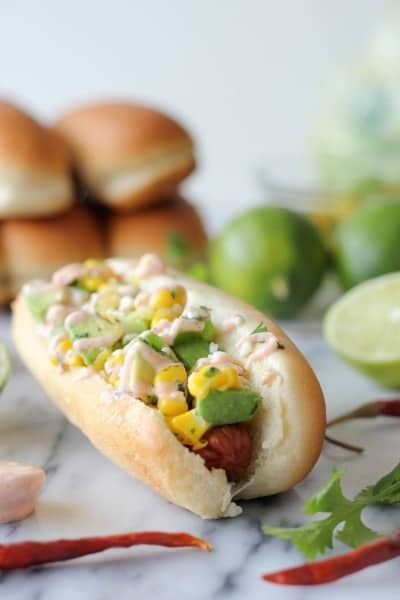 These Mexican Hot Dogs with Chipotle Cream (pictured above) by Damn Delicious look amazing! 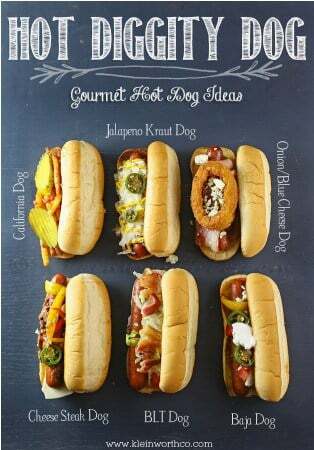 I love this collection of Gourmet Hot Dogs by Kleinworth & Co. but now I can’t decide which one to try first. 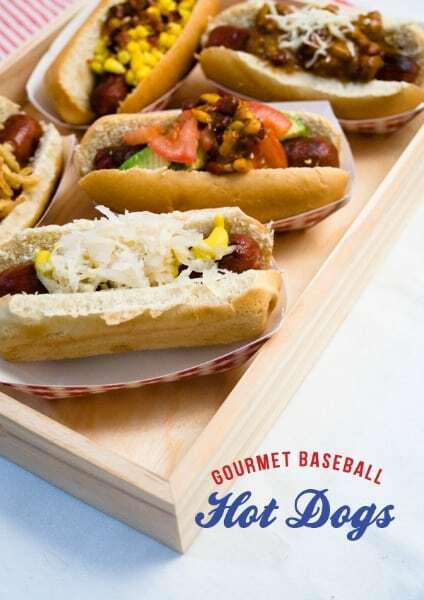 I’ve never been to a baseball game so I’ve never been able to try the ballpark hot dogs. 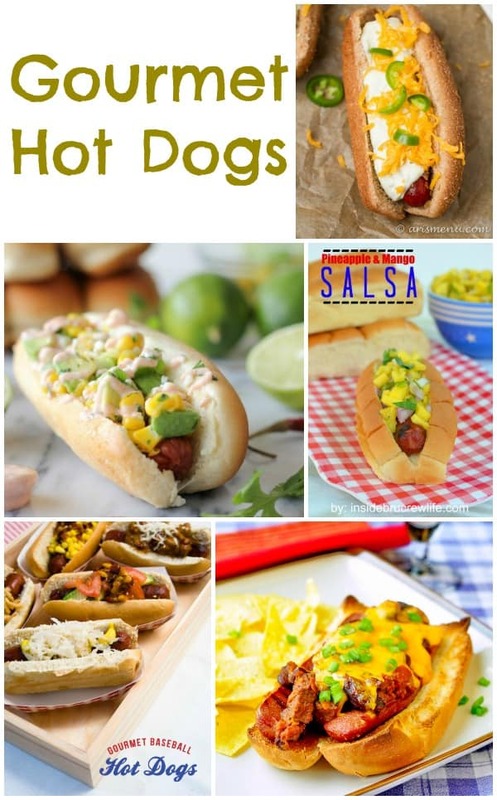 I love these ideas for hot dog toppings by Confetti Sunshine. They’d be perfect for a baseball party or a fun family BBQ. 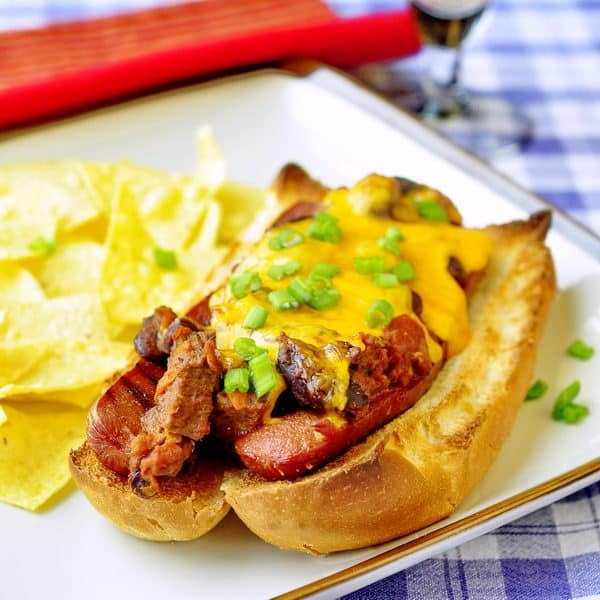 Guys – this one is for you – Prime Rib Beer and Bacon Chili Dogs. Rock Recipes always has such creative meal ideas! I spend a lot of time drooling over their recipe photos. 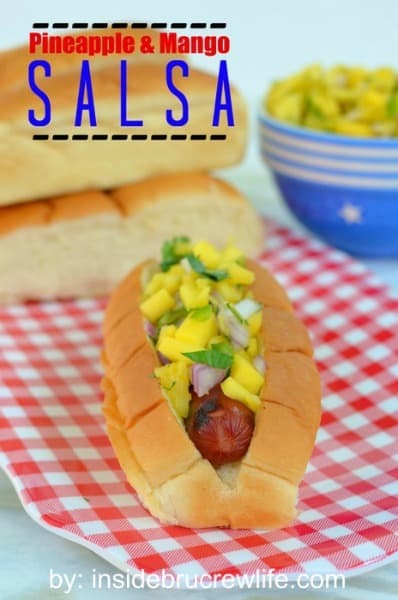 My husband saw this next one over my shoulder and said “I want that!” – Pineapple & Mango Salsa on hot dogs by Inside BruCrew Life. 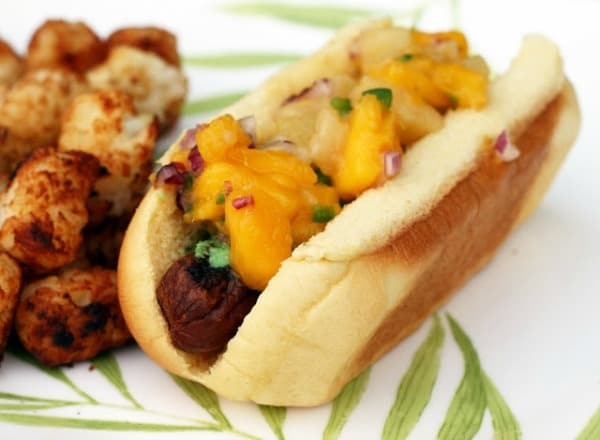 Here’s another my husband would love – Spicy Pineapple Mango Hot Dogs by Coconut & Lime. These would be perfect for a Hawaiian Luau. 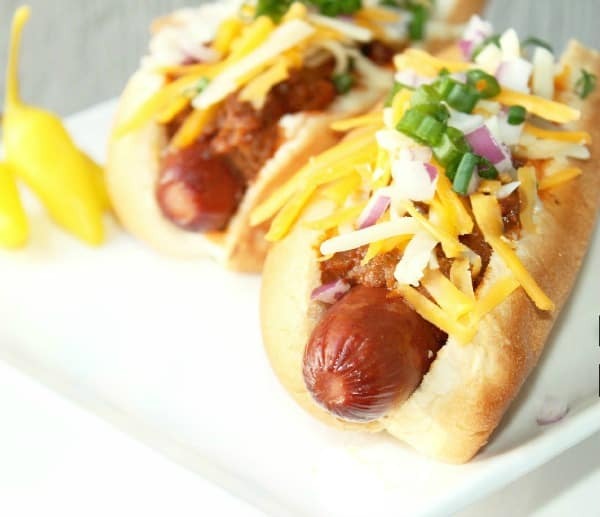 These Spicy Chili Cheese Dogs by Creole Contessa sound like the type of meal that you hope has leftovers so you can eat it two days in a row. 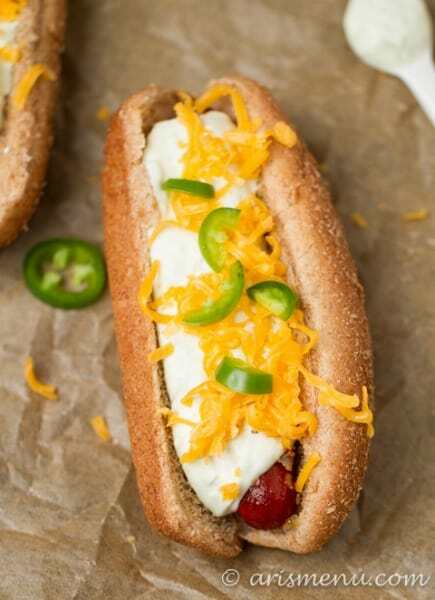 I love jalapeno poppers so I’m sure I’d enjoy this creative recipe for Jalapeno Popper Hot Dogs by Ari’s Menu. 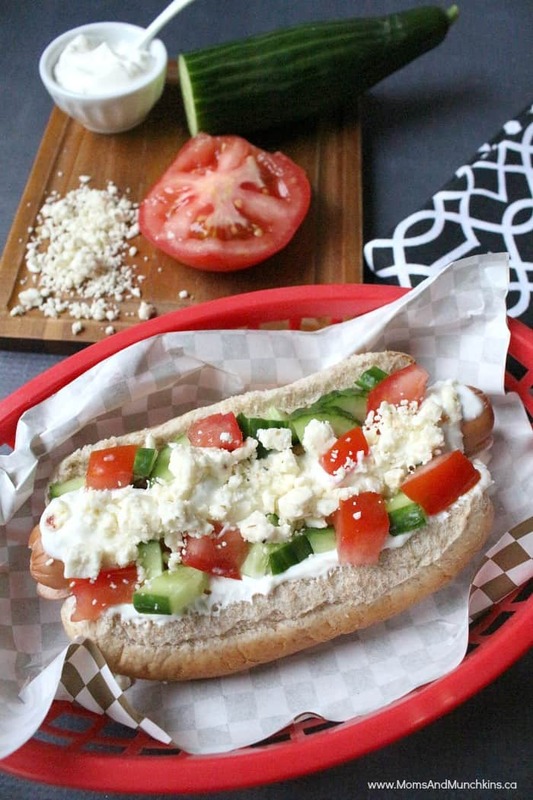 Want a gourmet hot dog without the guilt? 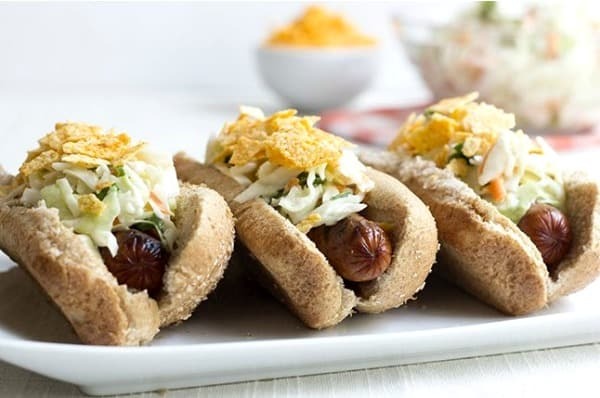 Then you’ll love these Skinny Gourmet Hot Dogs on Skinny Mom. For even more creative ideas for a Camping Party plus delicious recipes, visit our special Camping category. We’re always adding new ideas for family fun! Never miss an update by following us on Facebook, Twitter, Pinterest, and Instagram! WOW, all the hotdogs look so good! Thanks so much for sharing my Spicy Chili Cheese Dog. Thank you so much for including my hot dogs!!! LOVE all of these.